Lt. Cmdr. Benjamin Amdur got to see how much of a difference 50 years could make to nuclear submarines when he got to his new command. Amdur had previously served as the engineering officer of the Virginia-class submarine North Dakota, which will become the service’s newest sub when it is delivered in 2014, a Navy release said. On Tuesday, he became the officer-in-charge of the Nautilus, the world’s first nuclear-powered ship, during a ceremony in Groton, Conn.
“I’m amazed every day at how far we have come in 50 years of nuclear power, and, as a credit to the original nuclear designers of Nautilus, I am also amazed on a regular basis at the similarities between them. How many things they got right the first time,” Amdur said in the Navy release. 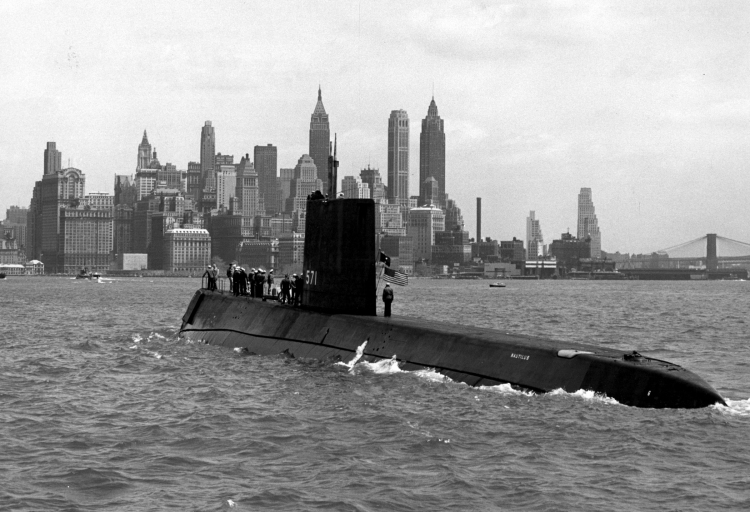 The Nautilus was commissioned Sept. 30, 1954, and designated a historic landmark just two years later after completing a couple of firsts, including first to cross the North Pole and first nuclear ship to undergo a complete overhaul. As the officer-in-charge of the Nautilus, Amdur will also serve as the director of the Submarine Force Museum in Groton. In addition to interacting with the public and teaching them about the Navy’s history, he will also oversee a staff of active-duty sailors who are responsible for performing maintenance on the boat and providing security. “It’s an opportunity to get involved with a being a part of interpreting and displaying our history, both to our current sailors, veterans of the submarine force and the general public,” Amdur said.